10 Jay (left) and 1 John Street (right). 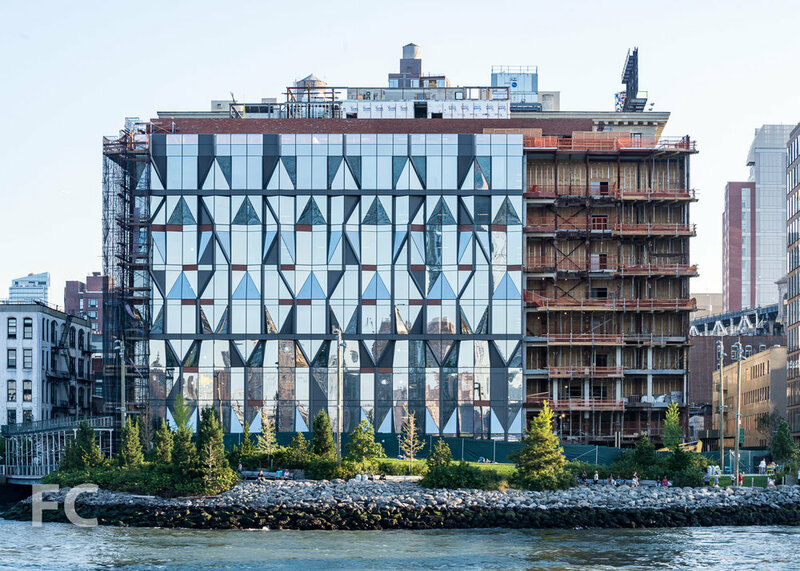 Curtain wall installation is underway at ODA Architecture's 10-story warehouse-to-office conversion at 10 Jay Street on the DUMBO waterfront. 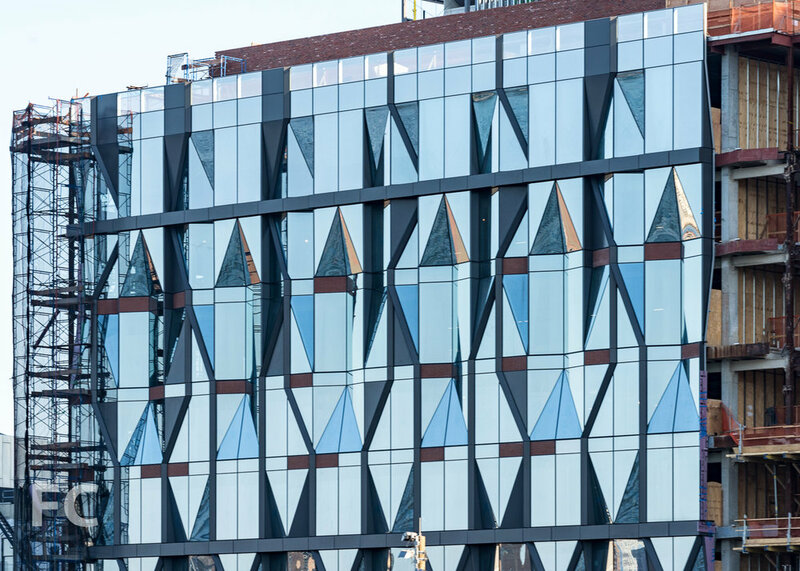 The 230,000 square foot brick warehouse structure will retain its brick façade on all but the north façade, which will be replaced by a crystal-inspired glass curtain wall. Design of the north curtain wall draws on the building's original use as the sugar refinery for the Arbuckle Brothers from 1898 to 1945. Installation of the new curtain wall on the north façade has surpassed the half-way mark. North façade with Brooklyn Bridge Park in the foreground..
Northwest corner from the East River. Close-up of the north façade. Northwest corner of 10 Jay Street (center) and 1 John Street (right).